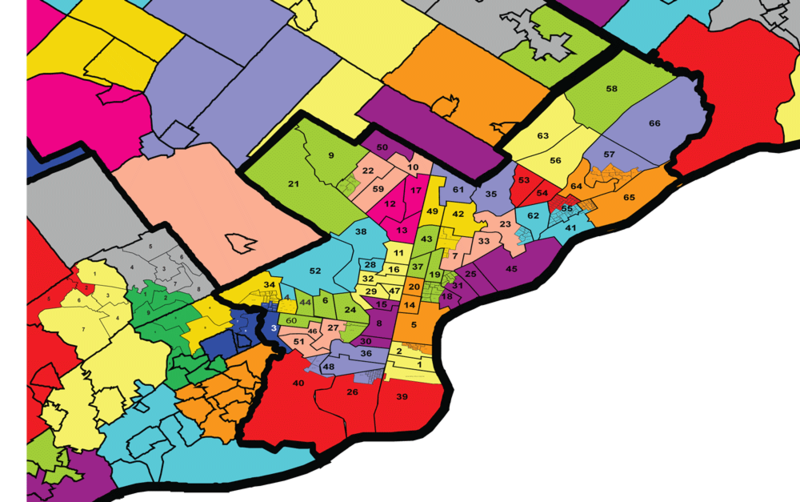 Home Redistricting 2000 Redistricting: Were Maps That Bad? 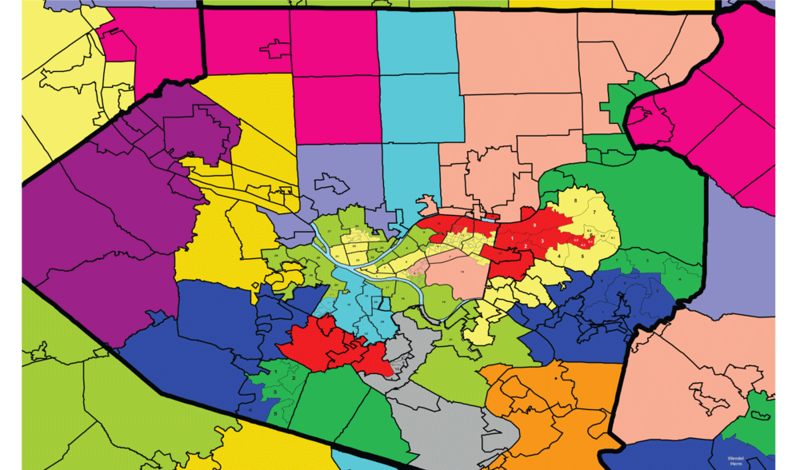 2000 Redistricting: Were Maps That Bad? 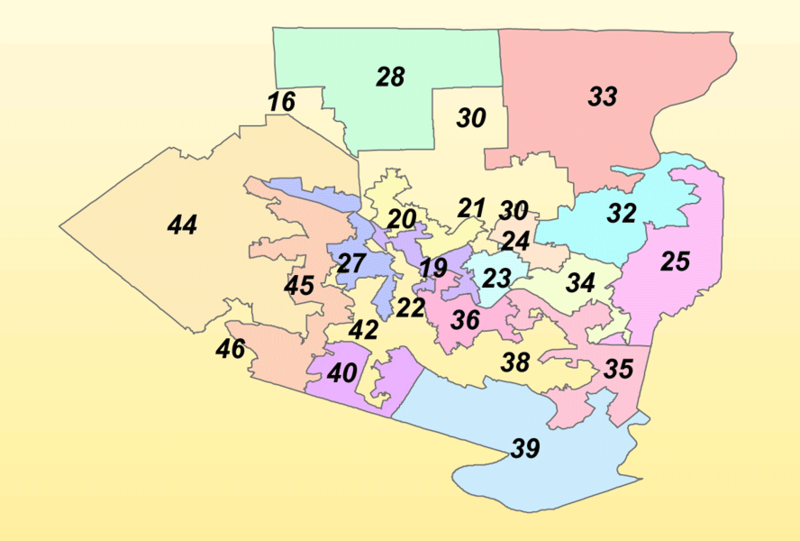 Were the districts in 2000 really as bad as what people are saying? Judge for yourself with the following map pictures. 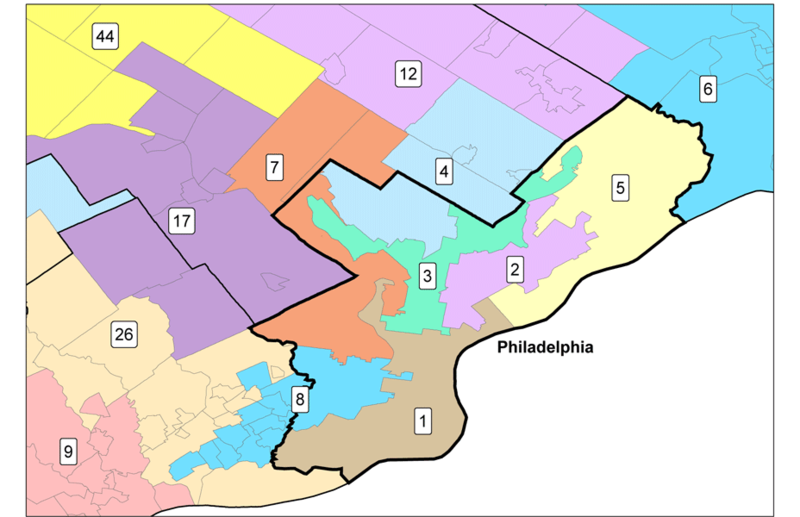 There are before and after pictures for the Senate and House with close ups of Philadelphia and Pittsburgh. 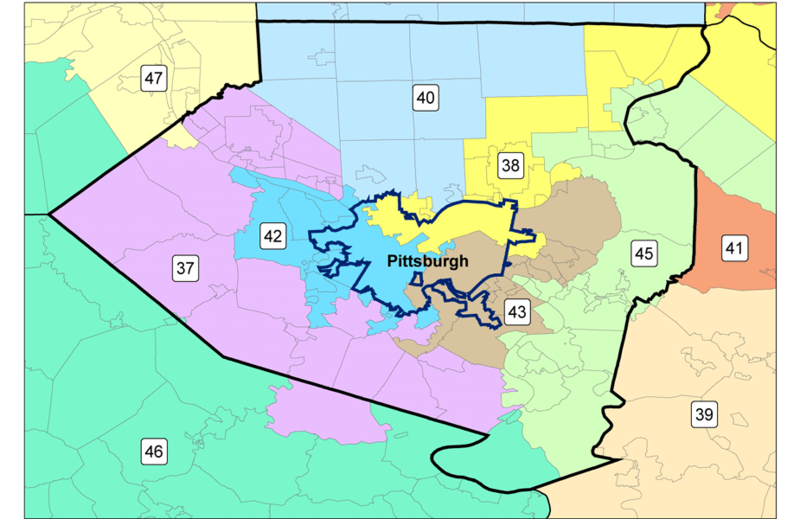 First is the before picture – the district boundaries in 2000. 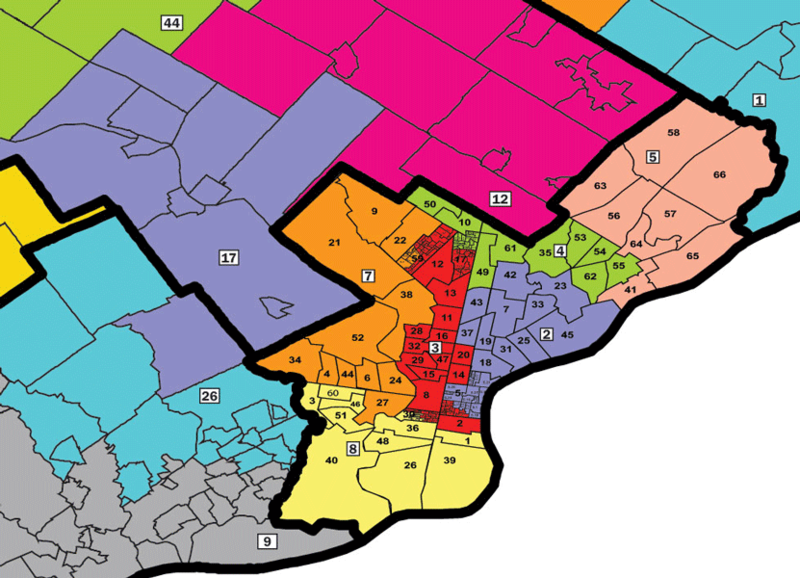 Then next is the after picture – the district boundaries using the proposed system. Click on any map to make it bigger. # of splits by . 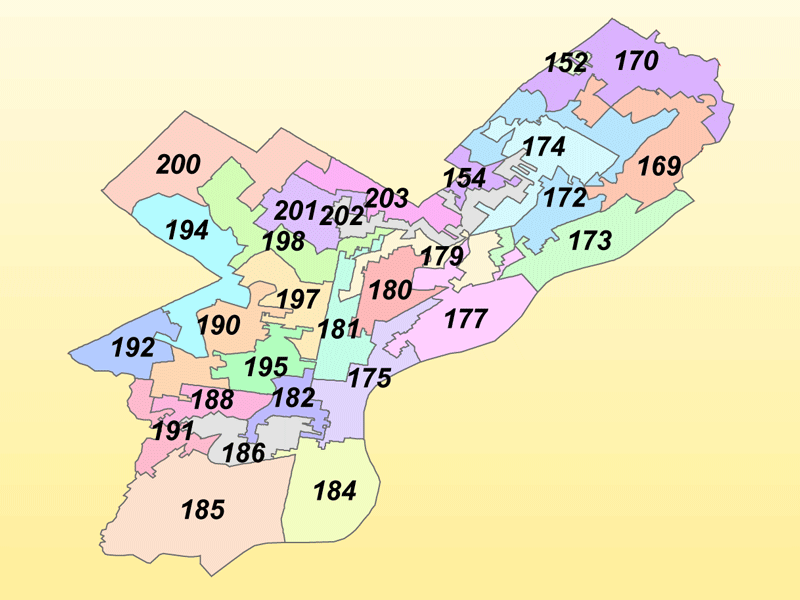 . .
# of districts that include splits of . . .
Help make this map a reality. To support the Holt Proposal, simply contact the commission to let them know. It’s that easy. Want to know more? 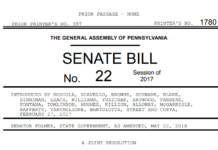 Explore the Senate Overview and House Overview to see the steps used generate this map transformation. You are my hero! 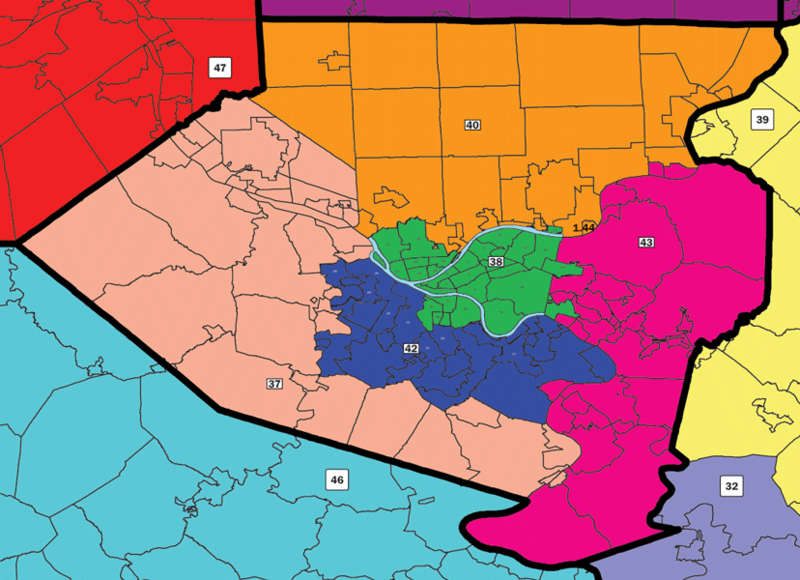 You saw the absolute inaneness of the redistricting and did something about it! What a great deal of work!! I hope that you have success with your proposal! I LOVE THESE MAPS !! !